Meghan Markle made her third official appearance with her husband at the Queen's Young Leaders Awards on Tuesday night. 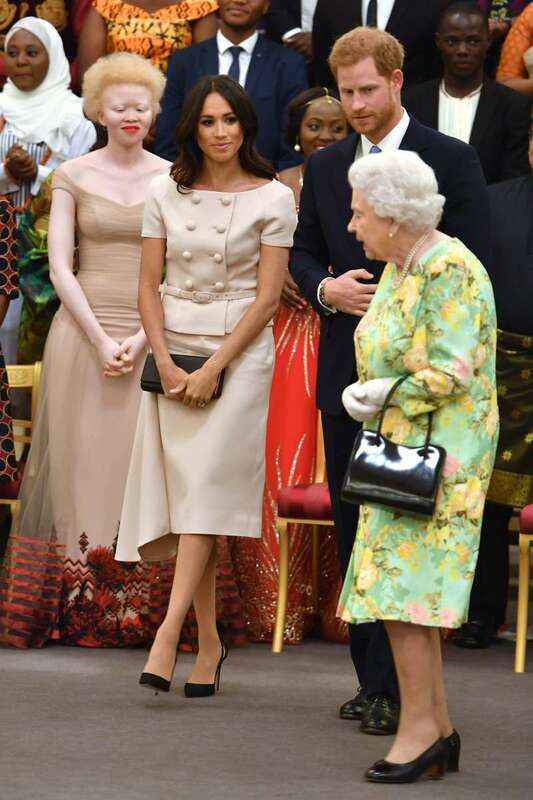 The newlyweds sat right next to the active 92-year-old monarch, and Meghan looked elegant in a pale pink Prada ensemble. Her unwillingness to try out new color palettes for her gown choices may have become the news of the day, but the duchess managed to wow everyone with her genuine smiles and easy interaction with the crowd at Buckingham Palace. As Meghan is yet to directly address the press since her marriage in May, we have had to depend on guests at events like this to give feedback on how the Duke and Duchess of Sussex are doing. And, thanks to one such guests, we know that Harry showed up at the event sleep-deprived and just off the plane from his Lesotho trip. The rare piece of gossip was shared between Meghan and awardee, 23-year-old Reekelitsoe Molapo from Lesotho, who founded the Educate Your Peer Foundation. 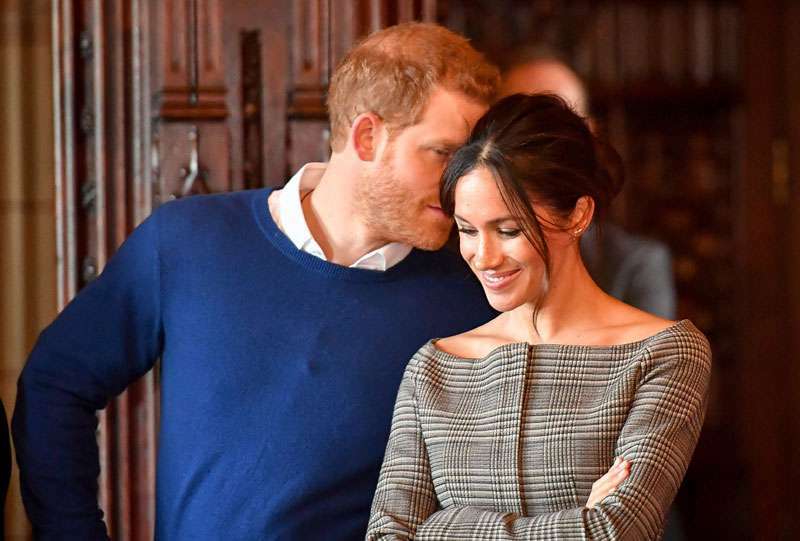 Although, Meghan was open with sharing these details about Harry's trip probably against royal etiquette, they were not so forthcoming when a guest asked to know their honeymoon location. Harry was kind enough to rule out Namibia from everyone's list though. Good luck with the guesses!